The state of Malacca covers an area of 1,650-km2, or 0.5 percent of the whole area of Malaysia. 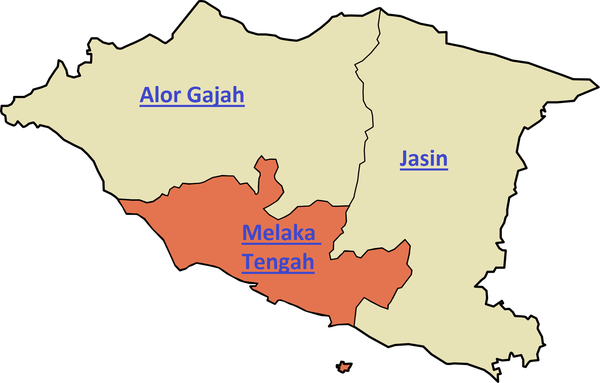 Consist of 3 districts, there are Alor Gajah, Jasin, Melaka Tengah. The capital of Melaka is Melaka town. Basically this state is on the flat land with small rolling hills. No waterfall found in the state, but at the border with Johor.